There is no denying that today’s autos are better built than ones from even ten years ago. They also have longer service intervals, which car owners feel is a good thing. 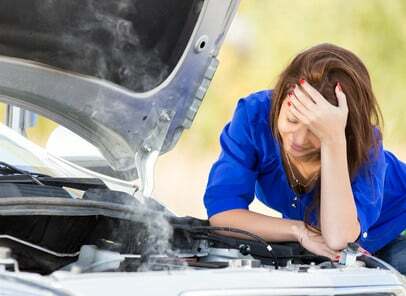 Of course, that doesn’t mean unexpected problems don’t happen with autos! No two cars are ever maintained the same. Even with two identical models, one might need replacement parts sooner than the other. Do you need to get some auto parts to repair your car? If so, you might be wondering where to source them. You might also be hoping to get the parts you need at lower prices than you’d see normally. Follow this guide and you’ll learn where to find the best discount auto parts locations. The first thing you should do is seek out the cost of parts from your local dealer’s parts center. I know what you’re thinking; their parts will never be the cheapest! But, there are a couple of reasons why I recommend talking to your local dealer first. One reason is so you know the cost from your auto’s manufacturer. When seeking out cheap car parts, it’s crucial to compare the prices against the dealer’s one. After all; the last thing you want to do is pay more for a part outside the dealer network! Another reason to speak with a local dealer is that you could take advantage of special offers. For example, their parts department might discount old parts they want to sell quickly. When you contact your local dealership, be sure to have the part number available. You will usually find it stamped or printed on the part you wish to replace. If you don’t have that information available, your dealer should be able to find out the part number for you. In those cases, you will need to supply them with details about your car. It is likely that your local area will have more than one official, franchised dealership. I recommend that you contact all those dealers, as some will offer different prices. The brilliant thing about the Internet is it makes our lives easier. One such example is when we need to seek out discounted auto parts online. If you’ve got the part number you need, all you have to do is type it into Google and press the Search button. You will then get lots of results for websites that will sell that particular part. Those sites can range from parts warehouses to individuals selling spare parts. One thing you may have noticed about Google is that it places an emphasis on local searches. What may sometimes happen with part number searches is that you’ll have a list of local sellers. If the price is right, you can buy the auto parts you need in person without waiting for it to get shipped to you. There’s no denying Google makes it easy to seek out discount auto parts locations. Local searches tend to work best with mobile devices like smartphones and tablets. That’s because desktop and laptops might not always report your correct location. TIP: Put the part number in quotation marks to do an exact search on Google. For instance, you could type in “17220-RNA-A00” if you wanted a Honda Civic air filter. While you’ll get some results relevant to your search, having the part number is even better. The Internet is also a good place where communities of people can connect with one another. There are message boards or “forums” that cover a variety of topics online these days. As you can imagine, autos are a popular subject matter! You may not realize it, but automotive forums are a good resource for getting cheap car parts. Sometimes, owners may have spare parts they no longer need. Some might be secondhand, but you’ll often come across ones that are brand new. It could be the owner bought the part in error, for example. You could use the Google search examples I mentioned a moment ago to search for those parts for sale. But, it’s worth signing up to a car forum relevant to your make and model. That’s because some forums don’t make post readable until you sign into their sites. The good news is that most car forums are free to join. All you’ll need to do is register by entering a username, email address and password. If you prefer to use your smartphone instead of a computer, you can use apps like Tapatalk to join forums. I recommend joining the most popular forums related to your make and model. That way, you’re more likely to find someone selling your parts. So, what happens if you join a forum and no-one is selling the part you need? One thing you could do is post up a “wanted” ad in their classifieds section. This is a useful approach if you’re seeking out a cheap yet rare part for your auto. Last, but not least, you should think about visiting some local auto salvage yards. Sure, they will only sell used parts for cars. But, if you’re on a tight budget and don’t need a new item, this is a good option for you. Auto salvage yards take cars that people don’t want anymore and keep the reusable items from them. They then scrap the remaining unwanted items. If you’re looking for a part, it’s likely that your local auto salvage yard will have it for sale! Before you head out to your local auto salvage yards, it’s worth giving them a call first. That way, they can tell you the likelihood of them having the part you need. Otherwise, you could have a wasted trip. Don’t forget to use a search engine like Google to find your nearest ones.